I thought it’s good to financially prepare your married life? So, who’s ready for a married life? No one i think, because readiness doesn’t really matter. Some people said it’s a trap, some named it a redemption. It is, always, a gamble. I could say that i was hugely sceptical towards marriage, and now i realised that it’s just a matter of finding the right person. Everything makes sense when you find the right one by your side. Filmed weddings for more than 20 years, Doug Block has become the silent observer of people’s crucial moments. From wedding to wedding, he moved horizontally, witnessing the dynamics. 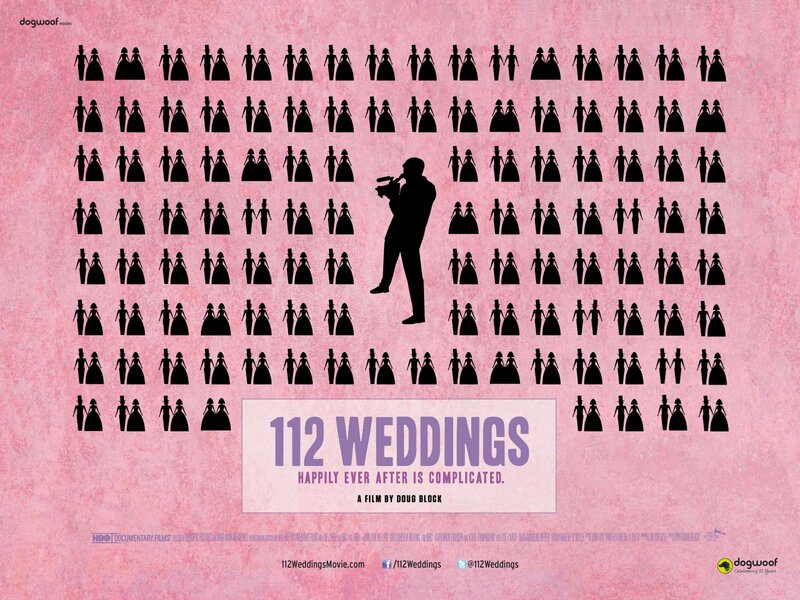 With such a simple and modest theme, 112 weddings has ticked all of the boxes: honesty, longevity, engagement and human emotion. In the very ground substance of a documentary movie, Block captures something that is close and humane, yet still left all of us – unmarried souls – with such an epic question: what does happily ever after means? The message is quite clear: there is no pure happiness in married life, the joy of nurturing your family has always coupled with inevitable problems. Marriage, is not a perfect institution. For me the struggle to survive as a couple/ a family that is shown in the documentary proofs that humanity is still embraced through the value of collective love. Honestly I didn’t prepare myself for an emotional roller-coaster during the documentary. Maybe because minutes before i entered the cinema, I secretly hoped this documentary could answer my curiosity about the pandora box of married life. It answered few questions, but sparked dozens more and i guess that’s the nature. While for me the movie is outcropping, I believe the experience would be 100% different if you’re married, maybe more like a series of approval nods or cynical smirks throughout the movie. Watching this with your wife/husband could trigger “unwanted conversations.” But i encourage all of my unmarried friends in their late 20s or early 30s to watch this, a truly evoking study of love, pain and humanity.